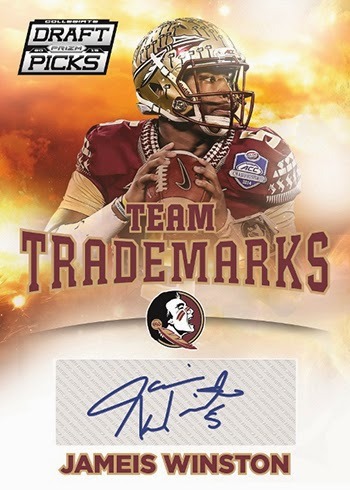 With quarterbacks chosen one and two in the 2015 NFL Draft and seven of the top fifteen draft picks being offensive players, 2015 football products promise to be a huge hit right from the start. 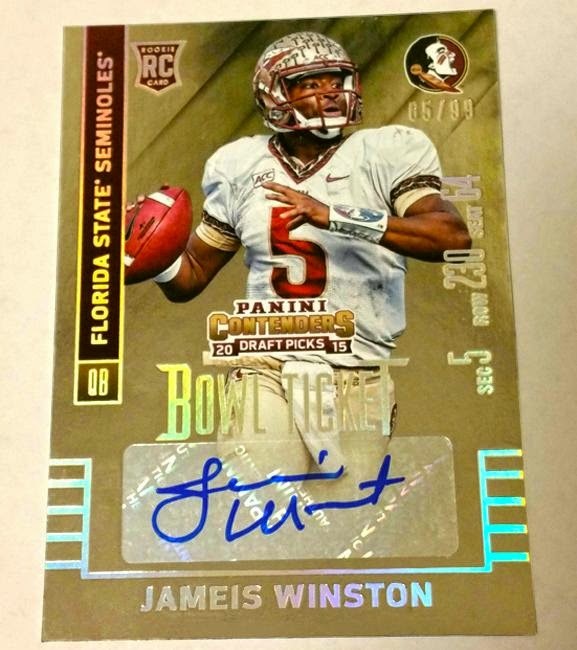 Panini America's collegiate license takes effect with 2015 Contenders Collegiate Draft Football. The Contenders football name has a rich tradition of providing football card collectors many of the most sought after Rookie Cards in all of the hobby. 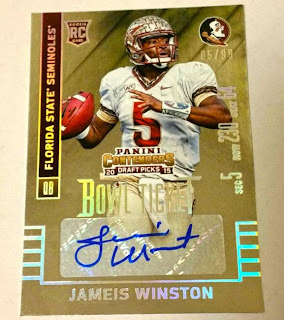 With a guarantee of at least 5 (every box I've seen has 6 or 7) autographs per box ($130 at Sports Cards Plus), Panini America takes the Contenders Football winning formula to jump-start its NFL Draft/Collegiate line of products. Besides all the top draft picks from the 2015 NFL Draft, look for autographed cards of the NFL's current stars and all-time greats in the college uniforms. 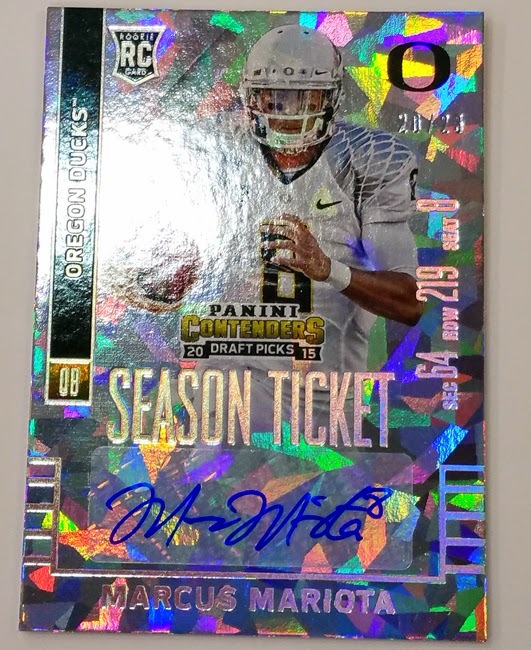 With everyone starving for a shot of the new draft picks and the "Contenders" name, look for these cards to be in high demand on the secondary market. So go to Sports Cards Plus, a.k.a. The Super Hit Factory TODAY, and pick your box from The BEST CASES in The Hobby at The LOWEST Price in The Galaxy.